Let’s face it, we’re not all blessed with huge homes and it can be a bit of a challenge when it comes to using the space you have effectively. 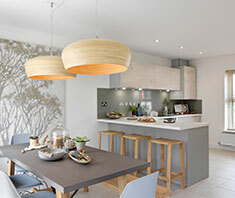 When you move into a new house you can quickly get carried away by how much space you have, or think you have, and before you know it you’ve ended up with cluttered cupboards and stacked shelves. 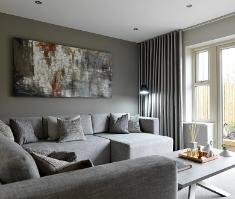 Whether you’re in need of small living room ideas or a way to maximise your bedroom storage space, here are our tips for making more room when space is the limiting factor. One of the biggest culprits when space is considered is clutter. Getting rid of items that you don’t use or that take up an unnecessary amount of space will free up valuable square footage which can be used more efficiently and effectively. This doesn’t mean that style and décor has to be sacrificed, however it is good to pick out stylish statement pieces instead of having a numerous decorative pieces. To give you some inspiration, take a look at our interior design trends for 2018 to help you pick out the most fashionable items for your home. In smaller homes, floor space is an extremely valuable commodity. Using the wall space available is an easy way of creating more area to occupy more storage which can be done by using more shelving units or taller cupboards and wardrobes. 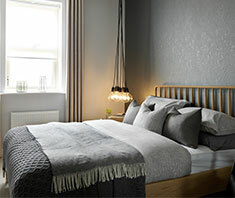 Light, neutral paint colours like white and beige can make small rooms feel much more open and airy. They also allow natural light to reflect more easily, helping it to rebound off the walls and around the room. Furthermore, lighter colours are much gentler on the eye. When looking for new pieces of furniture opt for those that have multiple purposes. Whether it’s a coffee table or bed with storage compartments or a bedside table which doubles up as a desk, this allows an area to become multi-functional and ultimately frees up space that would’ve been occupied. While mirrors don’t create any space or offer opportunities to create more storage, they give the illusion of small spaces being larger than they actually are. Strategically placing mirrors in areas of the room where they will reflect natural light, like opposite a window, will allow the light to be reflected throughout the room and give the perception and feeling that the room is bigger than it actually is.